Bordeaux's Cru Bourgeois classification is on-course to bring back a three-tier quality ranking in 2020, as officials say they are confident of avoiding a legal quagmire. If approved by government ministers this year, the new system would technically be valid from the 2017 vintage, but not unveiled publicly until 2020, said the director of the Cru Bourgeois classification, Frédérique Dutheillet de Lamothe. 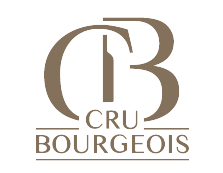 It will replace the current system, in place since the 2008 vintage release in 2010, where ‘Cru Bourgeois’ is effectively a quality seal given on a per vintage basis before bottling. The 2015 vintage selection has just been announced and includes 271 châteaux, seven fewer than for 2014, released last year. Seventy eight percent of the 300 members of Alliance des Crus Bourgeois voted to restore the three-tier system at a recent AGM. But, the most pressing question for the organisers is how to avoid winemakers contesting any decisions through the courts, as has plagued the St-Emilion classification. It was also legal challenges that resulted in the 2003 Cru Bourgeois classification being abandoned. It was declared officially invalid in 2007 and then replaced with the current system. ‘We will ensure impartiality at every step of the process,’ Dutheillet de Lamothe told Decanter.com. ‘We have proved we are able to do this effectively over the past eight years.